The campaign, part of Save the Arctic initiative, is calling on companies to stop destructive fishing in the northern Barents Sea and the waters around Svalbard, to protect the ecosystem. 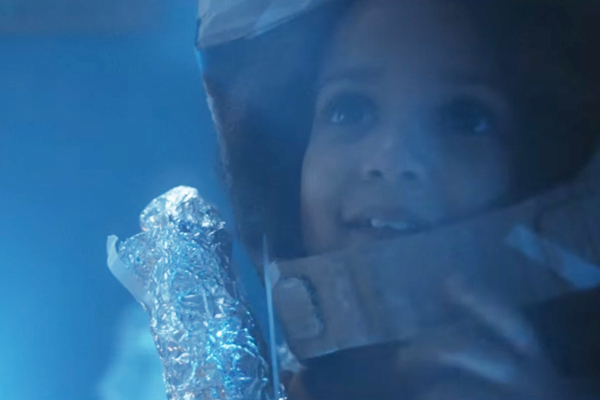 The 90-second ad shows a child playing and dreaming of exploring the Arctic. It ends with the statement "The Arctic dream is becoming a nightmare." Greenpeace is also calling for retailers and food brands to no longer use suppliers that engage in destructive fishing in these waters. It is also calling for the Norwegian government to create a ‘Marine Protected Area’. The film follows the Cannes Lions and D&AD award-winning 'Everything is NOT Awesome' video, which resulted in Lego ending a fifty-year partnership with Shell. Isadora Wronski, Arctic campaigner at Greenpeace, said: "The success with Everything is NOT Awesome showed how impactful online video content can be to raise awareness of important issues globally, and drive real engagement. It is vital to secure the future of the Arctic Ocean’s fragile ecosystem, and this video will get that message across to millions worldwide."